Batman: War games is in many respects the basis of the idea behind Batman; Dark Knight Rises, or at least that's how I see it. It doesn't have anything to do with Bane or the league of shadows, but a former Batman side kick known as Stephanie Brown. At the begining of War Games Stephanie has recently been fired as Batman's sidekick and she's out to prove herself. She's stolen one of Batman's contingency plans - a plan to get all of the gangs in the city under the leadership of one man - and puts it into action, but without one key ingredient; the man who is supposed to lead them. Things go monumentally wrong, leaving Gotham as a lawless city of gangsters and villains who fight with no regard for the people of Gotham. With appearances from fan favorites such as Nightwing, Tim Drake's Robin, Catwoman, Oracle, Cassandra Cain's Batgirl and a host of villains. I really like this comic arc because it shows Batman for the fallible human that he is. Shows the problem with his secrets. It shows how he can do everything right with the intention of doign good but still get it wrong because of one thing he didn't see or one secret he didn't tell. Stephanie Brown tries to make things right with Batman by putting his plan into motion, but the man who it hinged on doesn't turn up. She can't understand why until it's explained to her that that man is Batman and he wasn't invited. 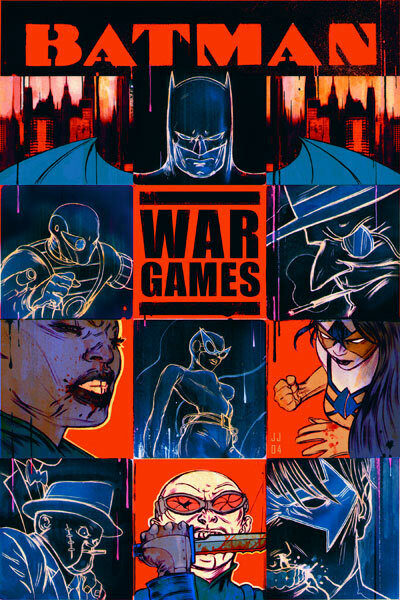 With emotional revelations from pretty much every character, the War Games story arc keeps the readers guessing, keeps them entertained and gives them exactly what they want from a Bat family arc. It's a rare series to be able to get a hold of, but if you can you should read it.